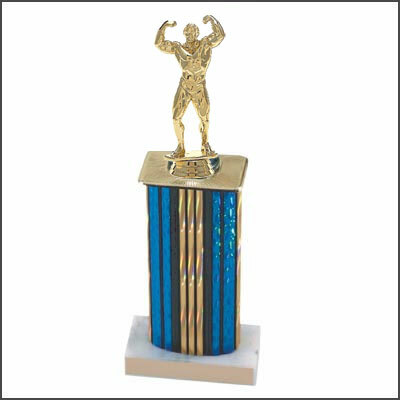 Check out our weightlifting and bodybuilding trophies. 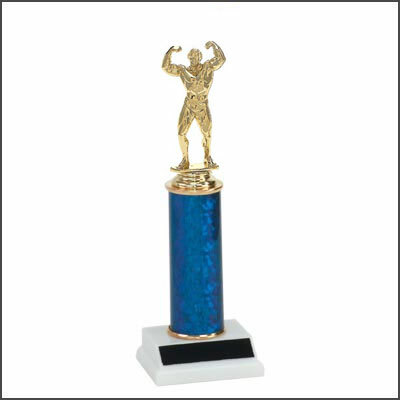 We offer a power lifter figure, weightlifter figure, and a male and female bodybuilder figure. 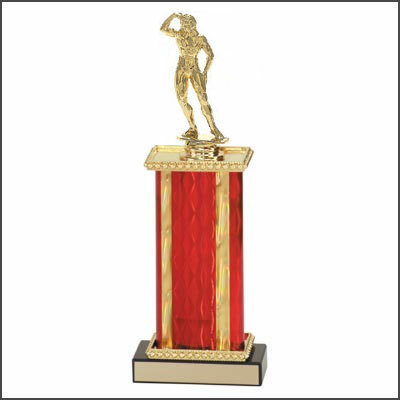 Click the figure below that you want, then select the trophy style and size you need. 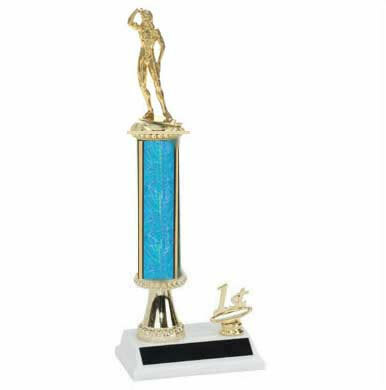 If you are looking for a small trophy the base and figure is about 5" tall, or we have the new shell backdrop trophy which is 7 1/2" tall. 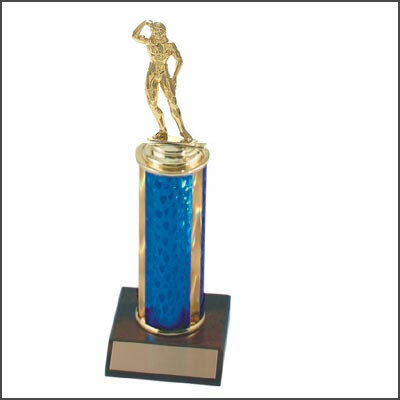 Also available trophies with round and square columns. 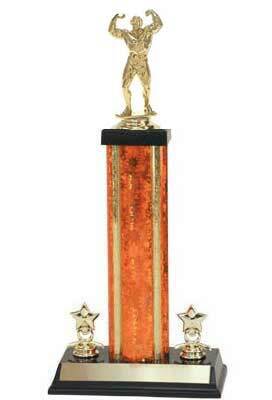 You get 40 characters of FREE engraving, anything over that is $.07 a character. 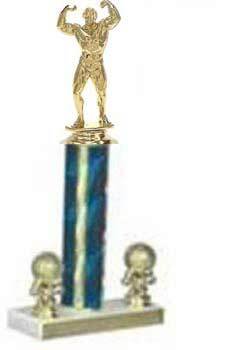 Orders will ship in five to seven business days. 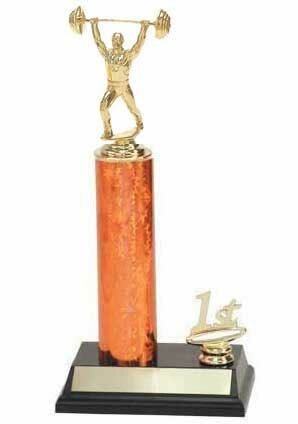 We do have rush service available and special shipping is an option. Please contact us at 800-787-8777 if you need one of these services, or if you would like to place your order by phone. 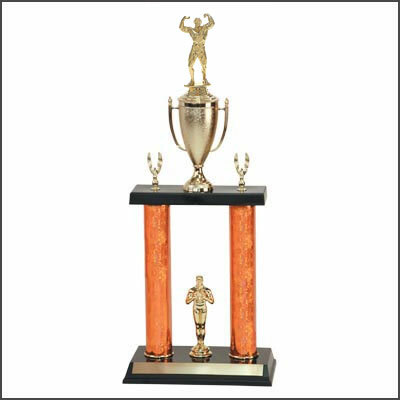 If you have any questions about placing your order for bodybuilder trophies or weightlifting trophies, please call 1-800-787-8777. Business hours are Monday - Friday, 8:30 to 4:00 central time. Shop safe and secure online anytime. 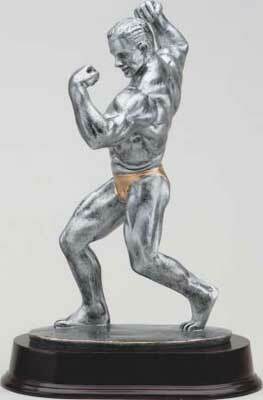 We invite you to visit all our bodybuilding award pages.